By request from Don65stang and several other members, we have decided to issue a special Shooters Award for all the gun nuts on the forum, my self included! If you would like to have the 1911 award icon appear in your post profile, just post in this thread so I can go through and add it to your account! The only requirement is that you love guns as much as you love Mustangs! Don65Stang;69055 Wrote: Awesome! Glad you liked it. I did have to use a darker icon so it showed up better on the gray background. I earned the Expert medal with the M1911A1 in the Navy. I'd like one, Barry. 73vertproject;69057 Wrote: I earned the Expert medal with the M1911A1 in the Navy. I'd like one, Barry. 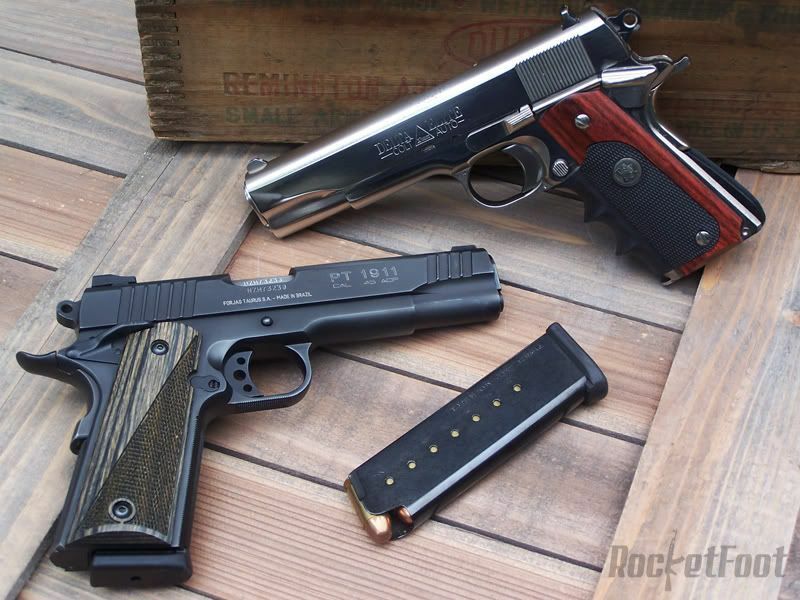 I have 2 1911's myself...Taurus PT1911 and a Colt Delta Elite in 10mm! Both are incredibly accurate and fun to shoot! Wow, that was quick. Thanks! 73vertproject;69059 Wrote: Wow, that was quick. Thanks! Earned expert in the USAF with an M-16, and a 'device' with a Beretta M-9. I love my CZ-85, Glock 21, and "Grandpa's" Ruger Mk. I .22 pistol. I'm an NRA instructor, so I guess I should have one too. Thanks.